What’s the most exciting thing about traveling? Tasting the culture! Sure—seeing new sights, visiting attractions, and learning about different cultures are all amazing aspects of travel. But what better way to do all the above than by stopping at delicious food spots? Food is a huge part of a city’s culture. And tasting the food of a new city is an attraction all its own! Let’s face it: food is life. So for all the food junkies out there, get ready to dive into the best food cities in the world. Before you plan your next vacation, have these 10 best foodie cities written down! The first stop on our list is Bangkok, Thailand. Book your foodie stay in Bangkok for an amazing street food experience. Different vendors crowd the streets, offering visitors a vibrant array of street food. Vendors work on a rotating schedule with one another to serve the best of the best throughout the day. Morning vendors offer delicious breakfast options like bean curd or sweet soymilk. Then later in the day, the lunch vendors open and serve the people passing by dishes such as chicken and rice. It’s an amazing street-food experience that you won’t want to miss. Grab your bags and get ready to travel. Next on our foodie tour is Durban, South Africa. For more street food dishes with a change of culture, Durban is the best spot. The food and the culture is a mix between the Zulu, Indian, and South Africans. This blend of influencers makes for an astonishing foodie city. Places like Little Gujarat offer a nice cup of tea. While places like Afro’s Chicken offer grilled dishes on the beach. Buckle up as we take flight into New Orleans, Louisiana. The colorful city of New Orleans is flooded with culture and mouthwatering food. On this stop, we’re ditching the high-class restaurants and sticking to culture-filled street food. And you might be surprised at where to find it. 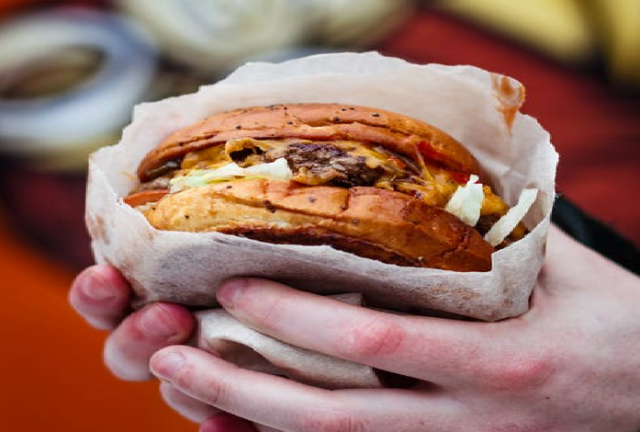 The most cherishable street foods in New Orleans are found at gas stations and convenience stores! Of course, you won’t want to miss a well-worth-it trip to the New Orleans School of Cooking, where fresh pralines are made right in front of you! It’s time to hit the sky again as we make our way over to our next stop in Rome, Italy. If you enjoy great authentic Italian food, then you’ll be happy to make this stop. Offering scrumptious pizzas, cured meats, specialty cheese, and wine, Rome is an Italian food lovers paradise. Be sure to check out the Roman food tours which will ensure that you don’t miss a single delicious dish! Home to 94 different national cuisines, New York, New York is next on our list. Although it’s located in the United States, New York has much more to offer than American food. For the most diverse foodie experience all in one place, head over to New York City. Trinidadian, Lao, Belarusian, and many other cuisines are available in the “city that never sleeps.” Perhaps it gets it’s saying from all the long hours spent in the kitchens here! For more info on great places to grab a bite in the food capital of the world, head over to this website. Bienvenue! We’re making a pit stop in Paris, France. Known for its delicious croissants and sweet éclairs, when visiting France you must stop in at a local patisserie. And you won’t want to pass up an opportunity to try Paris’ chocolates and cheeses. But to top off this amazing trip, consider scheduling a visit at a boulangerie. When visiting a local boulangerie, you’ll be more than tempted to indulge in a fresh baguette! Time to lace up your shoes and head over to Madrid, Spain. Here you’ll find traditional dishes such as the dessert, churros con chocolate. They take the well-known sugar-coated churro and offer an extra kick of sweetness by pairing it with a side of rich and creamy chocolate. And although churros may be a food item common in your city at festivals or fairs, there’s nothing like the real thing here in Madrid. Once you’ve tasted all of the local foods, consider trying out one of the 53 other national cuisines that you can find here. Coming in neck and neck with New York, London, England is home to over 89 different national cuisines. So it’s another great place to experience a variety of food and culture all in one stop. Indian food is one of the most popular dishes to try in London. But don’t forget to try out all the great fish and chips spots before leaving! When comfort food is what you’re craving, book your ticket to Minneapolis, Minnesota. Here you’ll find some of the best comfort food available! Minneapolis is known for inventing the unique burger stuffed with a cheese filling. And while you’re here, don’t hesitate to try one of the other 49 cuisines that Minneapolis has to offer. For the best food in Mumbai, India, just follow the crowds! They’ll lead the way. Mumbai has foodie options for dessert lovers and meat eaters alike. Head over to Janata for beautiful and yummy kebabs. Then grab dessert at Anand’s for a sweet bowl of firni! If you’re someone who doesn’t skip the chance to try something new, then you need to visit the best food cities in the world. Keep these 10 cities in mind the next time you plan to travel! For the best hotel booking websites, check out our guide! Previous articleHow Does One Know That It Is Time for a Divorce?